The world-famous Imperial Ice Stars, who have won international critical acclaim with their innovative portrayals of The Sleeping Beauty on Ice and Swan Lake on Ice are set to thrill once more with a stunning new interpretation of Cinderella on Ice within the magical setting of the Royal Albert Hall. Cinderella on Ice has been conceived and choreographed by the award-winning team of Tony Mercer, widely regarded as the world's leading creator of contemporary theatre on ice, and Evgeny Platov, dual Olympic gold medallist and four-time world champion. In a novel twist on the classic tale, The Imperial Ice Stars tell the story of Cinderella, a humble chorus dancer who is thrust into the spotlight as a prima ballerina and captivates the Lord Mayor's handsome son - the most eligible bachelor in town - with her graceful performance. Despite rival attempts by her ballerina stepsisters to steal his heart, engineered with true villainy by her stepmother - the local ballet mistress, true love triumphs thanks to the magical powers of the Gypsy Fortune Teller and Cinderella's kindly father, the town's Watchmaker. The sophisticated production boasts opulent costumes, magnificent projected scenery and stunning special effects, including fire, rain and flying. Nearly three million people across five continents, from London to Sydney, Toronto to Cape Town and Moscow to Tokyo, have been swept onto their feet by The Imperial Ice Stars' adrenaline-infused performances. Renowned for their unique brand of innovative skating and story-telling, The Imperial Ice Stars continue to break new ground in the genre of ice dancing, elevating the art form and broadening its appeal. The 25-strong cast of World, European and National Championship skaters will dazzle and enthral you with their daring and graceful feats in a breath-taking display of world-class skating performed on a specially-created frozen stage. The newly commissioned score has been composed by Tim A Duncan and Edward Barnwell, both highly regarded contemporary composers, and recorded by the 71-piece Moscow State Cinematic Orchestra and 10 soloists from the Manchester Symphony Orchestra. 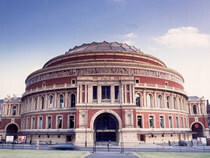 At the Royal Albert Hall it will be complemented by a live 20-piece orchestra.